When we went to Yankee Stadium, I tried Chicken & Waffle Sliders from a little vender on the 1st floor. On the right corner, it says, "made with Aunt Jemima," which is a famous brand for pancakes, syrup and other breakfast items. When I placed my order, they started making the waffles in the waffle maker. It took them more than 10 minutes to cook the waffles, and also the fries weren't freshly fried but stored in a heated storage behind them. 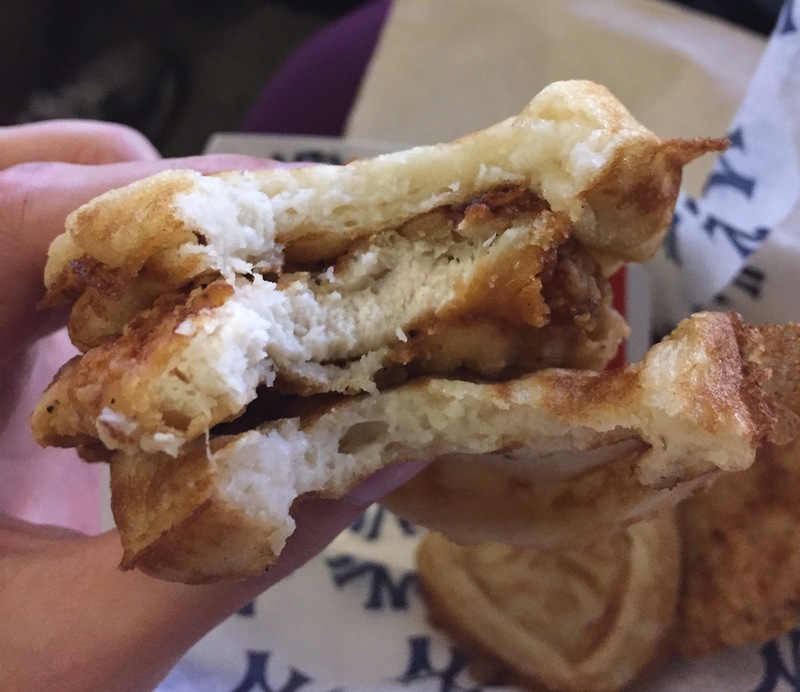 Finally after 12 minutes, I got this Chicken & Waffle Sliders served with Aunt Jemima syrup, which is maple flavored syrup = fake maple syrup. 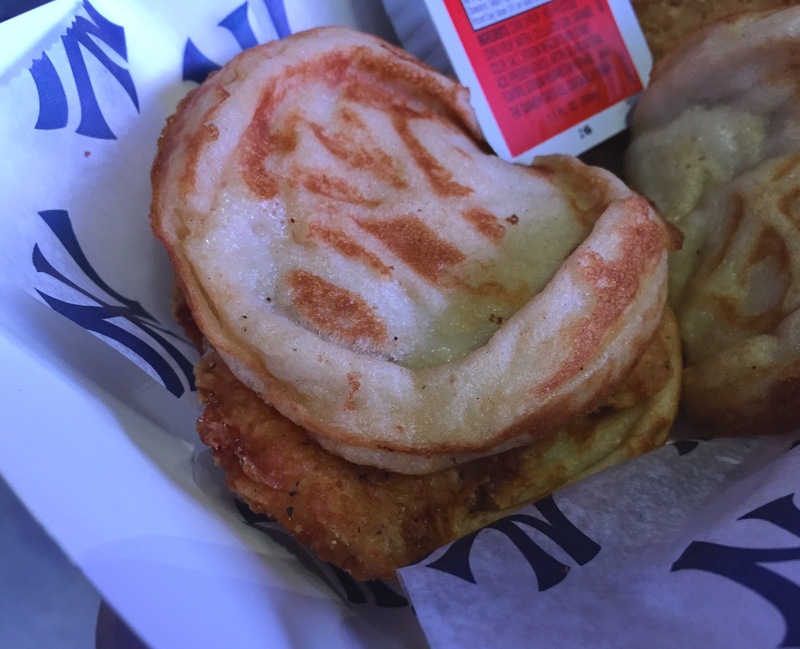 Each waffle had NY, the Yankees logo, which was neat, but the waffles didn't really have golden brown color and looked soggy. When I held it, the waffles were wet and soft, and I knew the waffles wouldn't taste good. The breading of the fried chicken looked not appetizing either as it looked soft. 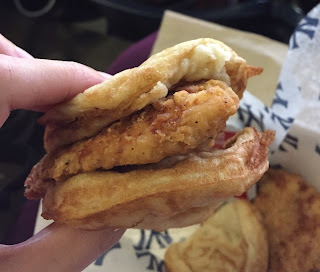 As I had thought, the waffles were uncooked and mushy, the fried chicken was just warm without any crispy texture. Unfortunately, they're pretty bad chicken & waffles and I regretted that I had paid 12 dollars for this.